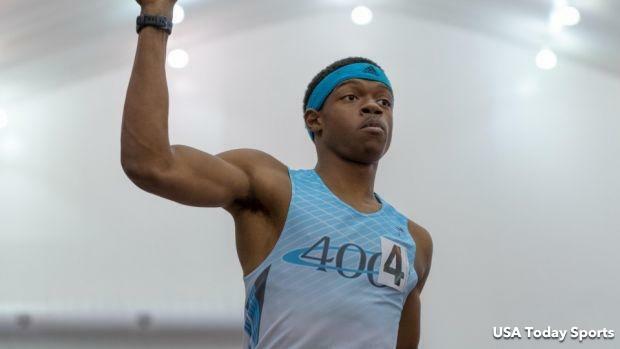 Roughly one year ago, Brian Herron, the reigning MileSplit50 Indoor Athlete of the Year, was tuning up for what would become the most successful indoor season of his career. The Atlanta Lakeside (GA) High School then-junior eventually achieved the kind of season that most athletes would dream of, including the fastest 400m time ever recorded in the month of December for a high schooler (46.43), the fifth-fastest 200m indoor time in high school history (20.95), a World Junior Record in the 300m (32.64), and a national title at New Balance Nationals Indoor in the 400m (46.31), which was a US No. 6 effort all-time. But everything didn't go according to plan afterward. While Herron, who recently signed with the University of Southern California, remained confident he would race over the outdoor 2018 season after announcing he would not run for his high school in the spring, he was unable to find an invitational for his track club, Flight400, and only managed to enter in one race as a junior: The USA Junior Track and Field Championships in Indianapolis, Indiana. The rust showed, and Herron was unable to get out of the rounds, posting a time of 47.10 seconds in the preliminaries. A year later, following a busy college recruiting period--Herron visited Texas A & M and the University of Southern California, eventually signing with the Trojans in November--a couple nagging issues and a limited training block, the high school senior has opted to forgo his final season of indoor track and field, his coach, Andre Oliver, confirmed to MileSplit. While the reigning MileSplit50 Indoor Athlete of the Year, and MileSplit's No. 1 recruit in the Class of 2019, won't be able to defend his title in 2019, his Flight400 teammate, Nicholas Ramey, may be able to offer some solace. The fellow USC signee and Brookwood (GA) High School senior will open up his season at the Vanderbilt HS Indoor Invitational in February, will run at the University of South Carolina's indoor complex weeks later, then will look to challenge for a national title in the 400m at New Balance Nationals Indoor in March. Ramey, ranked No. 12 in our Class of 2019 recruit, was second to Herron at NBNI a year ago. He's also coming off an appearance at the IAAF U20 Championships in Tampere, Finland, where he helped Team USA score a second-place performance in the 4x400 (3:05.26). Herron, meanwhile, will focus his attention to the outdoor season. Oliver also confirmed that Herron will again bypass his spring high school season (he said a likelihood at this point) and will run for the club over the outdoor season. However, a healthier Herron, he said, should be able to get in some races over that time period, which will help in his development toward a key qualifier later in the season. As was the case last year, Herron's main approach this spring will be to qualify for the Pan-American Junior Games in Costa Rica from July 19-21. Over the summer leading into his junior season, Herron ran for Team USA's 4x400 squad--the team also featured Zach Shinnick, Sean Hooper and Josephus Lyles-- and led off for the Americans in a World Junior Record run of 3:00.33.